Pioneers in the industry, we offer pneumatic printing machine for plastic industries from India. We are striking element, occupied with offering amazing Pneumatic Printing Machine for Plastic Industries. The offered machine is manufactured by our exceedingly gifted experts from most extreme quality segments and most recent innovation in a state of harmony with industry standard. To keep up its quality, this machine is tried on different quality measures. Notwithstanding this, we offer this machine in a few plans and sizes at spending plan amicable costs. 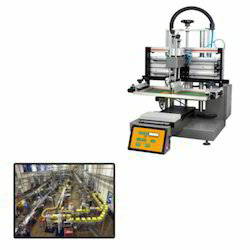 Looking for Pneumatic Printing Machine for Plastic Industries ?